Students graduating from schools in the North Clackamas, Oregon City and Gladstone areas have a lot to be proud of. Collectively, the 157 graduates in Gladstone High School's Class of 2018 earned nearly $1.5 million in college scholarships. "These students have taken full advantage of the academics, arts, athletics and leadership opportunities Gladstone offers," said Principal Kevin Taylor. "We can't wait to see what they'll do next." 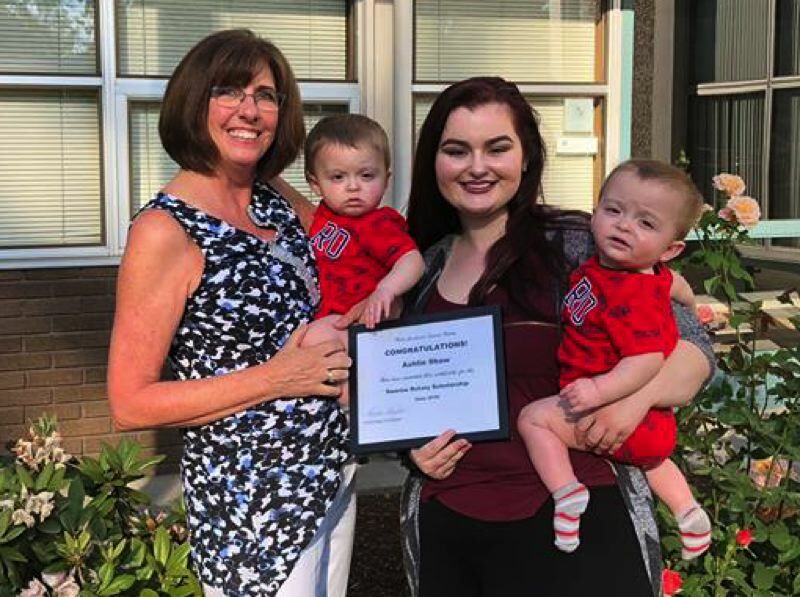 Oregon City High School graduate Rachel Boone, who this fall will attend Whitworth University in Spokane, received the $1,000 Northwest Community Credit Union Scholarship for her demonstrated dedication to creating a positive impact in the community. OCHS's Class of 1952 annually gives out two $2,500 scholarships to graduating seniors; this year the class awarded Marvin Leon, a nursing student at Concordia University this fall, and Delaney Kleiner, a future biology teacher or doctor to be studying at University of Oregon. They were recommended by counselors at OCHS based on community service, academic excellence and financial need. 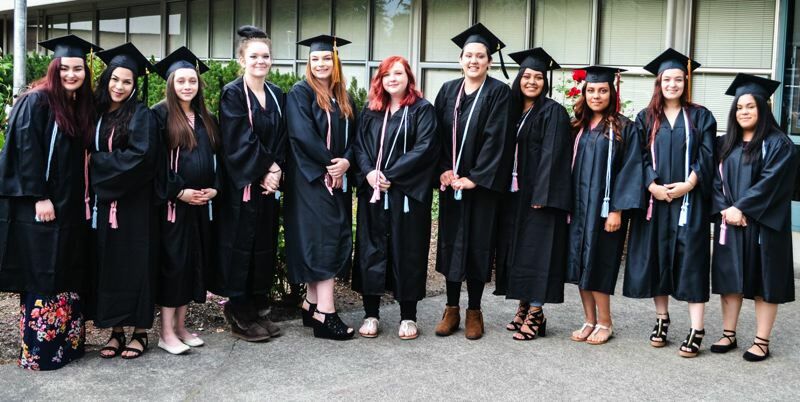 Twenty-four of the 26 members of the Milwaukie-based Portland Waldorf School Class of 2018 plan to attend college, and nearly 90 percent gained acceptance to and will attend their first-choice school. Their personal and academic strengths were also recognized across the board in scholarship awards: More than half of the college-bound students received awards, with the group as a whole earning more than $2.26 million in scholarships. La Salle Prep's two valedictorians and three salutatorians graduating this year say that pursuing a favorite sport or activity refreshed them so they could focus on their studies. Extracurricular activities, they said, also reminded them that life was made up of a lot more than quizzes, tests and research papers. "If I didn't have horses, I couldn't focus," said salutatorian Isabella "Izzy" Ierulli, who competes in horseback riding competitions. Outside activities also eased the pressure the high achievers put on themselves to do well. Ierulli and the school's other top students say every high schooler should have an outlet that simply makes him or her happy. "Find something that works for you," said valedictorian Sabrina Reis. "It's important." Playing piano works for valedictorian Derek Wong. He studied the instrument for 12 years, and now finds himself coming back to it when he needs a break. "Doing it without having to go to lessons, doing it without having to practice for 90 minutes, doing it without having to prepare for a competition has been incredibly relaxing," he said. Salutatorian Amber Young finds peace when she pulls on ice skates and glides on a rink. Salutatorian Alexis Han gets energized when she competes in a speech and debate tournament, and relaxes by baking banana bread. Sabrina Reis found an outlet in roller derby. Now she competes on a roller derby team because "I wanted something that was for me, not for school, not for the future, just for an activity that I thoroughly enjoyed," she said. She and La Salle's top scholars encourage younger high schoolers to pursue what motivates them, and what they find rewarding. "Everyone has different strengths," she said. "Be your own brand." Ashlin Shaw came to the North Clackamas Parent Academic Career Employment program (PACE) this year as a junior and graduated a full year early. She was honored as a salutatorian at Putnam High School, maintained perfect attendance, and earned the PACE outstanding student of the year award for 2018. The Clackamas Sunrise Rotary gave Shaw this year's $1,500 PACE/McKinney Vento Scholarship. She was the first PACE student ever selected for the Owen and Edna Sabin Scholarship. PACE coordinator Grace Saad marveled at how Shaw racked up all of these achievements while also juggling motherhood of twin infant boys. Shaw overcame a variety of obstacles to make it to where she is today. "Her biological father passed away from an overdose and her biological mother gave her and her siblings up for adoption when she was 6 years old," Saad said. "She lived with her adopted family for years, but when she had her twin boys, she was kicked out. She qualifies as a homeless student under the McKinney Vento Act, and now lives with her babies' father's family." Shaw now has a job at Macy's and plans to attend Clackamas Community College in the fall to pursue a career in nursing. Gladstone's top 2018 graduates are not just outstanding scholars," but as their principal pointed out, "They have also made substantial contributions to school leadership, athletics, community service, and the performing arts. They have made our school a stronger, more caring community." • Valedictorian Andrew Gehrke was part of several sports teams in high school, along with the robotics club. "As an Outdoor School counselor junior and senior years, teaching and being a role model for sixth graders brought me so much joy, memories and new friends," he said. Gehrke will study computer engineering at Oregon State University and hopes to someday create cutting-edge graphics cards, computer processors and hardware for a company like Intel or Nvidia. 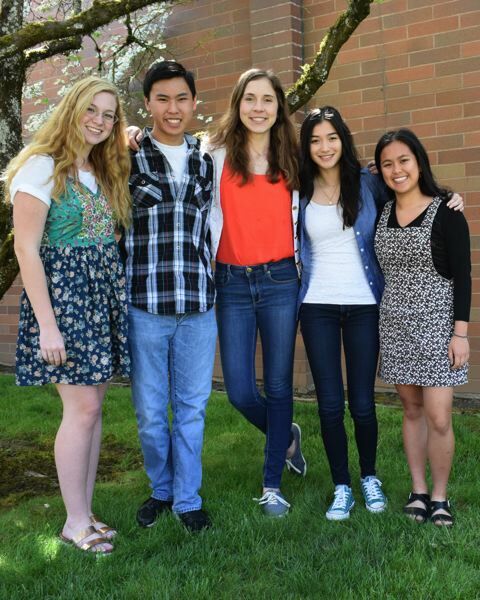 • Valedictorian Yalin Li has been a leader in Key Club, and active in National Honor Society, band and swim team. The first in her family to go to college, she is grateful to her family for their sacrifices on her behalf. Li will study natural sciences with a focus in biology at the University of Oregon. Her goal is to develop new ways for humans to live harmoniously with wild animals, and to preserve endangered species. • Valedictorian Lydia Rivers has been involved in Key Club, team sports and National Honor Society. As an intern at Portland State University, she worked with graduate students to research water purification. This fall she will attend Northwestern University in Illinois to study chemical engineering. She plans to continue both community service and research, addressing contemporary problems in medicine through a bio-molecular approach. • Salutatorian Kyle Anderson earned recognition for athletic excellence through all-league and all-state honors as the football team captain his senior year. He also served as president of the National Honor Society his senior year. This fall he will attend Oregon State University to study civil engineering, with the goal of building a more sustainable world. • Salutatorian Cameron Cronin was a three-sport athlete for all four years of high school, somehow also finding time to perform more than 150 hours of community service with the National Honor Society and Key Club. Cronin will attend Oregon State University this fall to study bioengineering, with the goal of developing medications that will contribute to safer and healthier communities.